Is 'Sit Back, Relax and Enjoy the Service' Killing the Church? We’ll never become biblically active communities of life-transformation until church leaders let go of our please-the-consumer mindset. It sounds so inviting and innocent. But that may be one of the most dangerous sentences regularly uttered in church. I expect promises of great customer service in a restaurant, an airplane or a store. 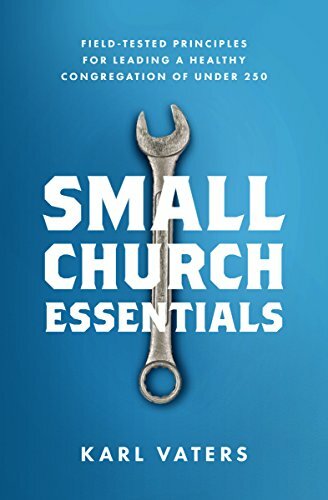 But the idea that church is a place where we pay others to do ministry as we sit passively, consuming and passing judgment on the product being offered, may be the greatest single reason for the anemia of the modern, western church. And the church I pastor is no exception. The church does not exist to serve passive consumers, but to equip and activate disciples. We’re not supposed to be in the customer service business. We’re a community for life transformation. The church does not exist to serve passive consumers, but to equip and activate disciples. But, like the monkey stubbornly clinging to the apple inside the cage, we’ll never free ourselves to be biblically active communities for life-transformation until church leaders let go of our please-the-consumer mindset. I’m a huge proponent of making our church services a welcoming environment for everyone – especially for first-time attenders and seekers. But it’s bait-and-switch to tell church-goers that we’re here to serve them, only to teach them a few months later at the membership class that – surprise! – you’re not supposed to be a consumer. You’re here to do the work of ministry. And we wonder why people have become so skeptical about the church. It would be like going to Starbucks until you achieved Gold Card status only to get handed a green apron. On a volunteer basis, no less. This audience-to-discipleship bait-and-switch doesn’t create passionate, worshipful, loving disciples. It creates angry, confused and resentful church-shoppers – and quitters. When people came to Jesus, they weren’t given false up-front promises that they could sit passively while Jesus wiped their troubles away – all wrapped up in a delightful just-under-an-hour stage show. They were told to take up their cross. Some were told to leave their nets behind (their ony source of income). One man was told he had to sell everything and give it to the poor.